The Strokes' comeback single was the product of three years of songwriting, 18 months of recording — and 30 minutes of mixing! 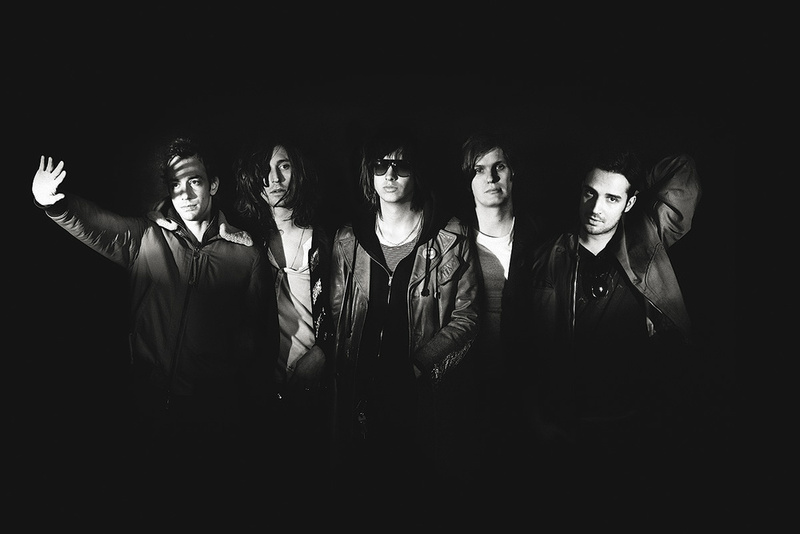 The Strokes burst upon the international music scene 10 years ago with their debut album Is This It. The band's 21st‑century reinvention of guitar rock proved immensely popular with critics and punters alike. As was documented in SOS April 2002 (/sos/apr02/articles/gordonraphael.asp), the album went through a lengthy gestation process that involved aborted sessions with big‑name producer Gil Norton, who was replaced with the then relatively unknown Gordon Raphael, and endless discussions about their sound, which was supposed to be that of "a band from the past that took a time trip into the future to make a record”, according to singer Julian Casablancas. One aspect of this involved him tracking his vocals through a small Peavey practice amp. Is This It laid the blueprint for the Strokes' approach to recording in many different ways. For example, the band's "get a big name producer and then replace him” approach was repeated on all subsequent albums. In the case of 2003's Room On Fire, Nigel Godrich (Radiohead, Paul McCartney) was replaced by Gordon Raphael, again. On First Impressions Of Earth (2006), Raphael — by now a known producer — was replaced by David Kahne (Linkin Park, Paul McCartney); while on the latest album, Angles, Joe Chiccarelli (White Stripes, Counting Crows) was replaced by Gus Oberg. And while First Impressions Of Earth took 10 months to record, for Angles the band spent more than a year in the studio, dogged by rumours of tension in the ranks. Whether by design or not, the result is that Angles has been one of the main music stories of the Spring, reaching the top five in the UK and the US. Whatever the travails of its making, Angles is one of the best‑sounding rock albums to have been released in recent years, having avoided the 'death by limiting' suffered by so many CDs these days. 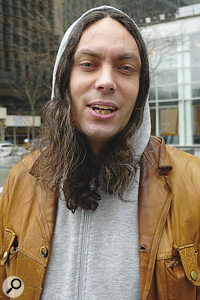 The person best placed to shine more light on the recording goings‑on is Gus Oberg, who engineered most of the material on the album, and co‑produced all but one of the album's songs. He also mixed the single, 'Under Cover Of Darkness', as well as the song 'Gratification'. Although Oberg won a Grammy for Best Contemporary World Music Album in 2006 for his work on the the Klezmatics' Wonder Wheel, he isn't as well‑known as many of the mix engineers featured in this series. Gus Oberg was born in Sweden, but his desire to pursue an engineering career led him across the Atlantic. "When I was 12 and 13 I was already always busy with recording gear, using a Fostex four‑track and so on. I moved to New York in 1997, I guess to learn more about engineering, and I did a course at the School of Audio Engineering in New York. After that, I started work at Loho Studios, where I eventually became chief engineer and studio manager. I ended up being there 24/7! One of the most well‑known projects I recorded there was Willie Nelson's Songbird album. In 2005, Albert [Hammond Jr., Strokes guitarist] booked time at the studio, and after working together for five days we clicked so well that we never really stopped working together. I engineered, mixed and co‑produced Albert's two solo albums. Three years ago, Loho was sold, and Albert and I needed a place to work, so we started to build what's now his One Way Studios, which is located one and a half hours' drive from Manhattan, in the Catskill Mountains. Albert and I designed the studio together. The live area at Albert Hammond Jr's One Way Studios, where much of Angles was recorded and where the mix took place. We had a building constructed from scratch that has the shape of a barn, with very high ceilings. There's a large live room that's perhaps 1500 square feet, and we built the studio around a 32‑channel analogue Wunderbar desk, that's based on the Neve 1073 modules of a now legendary desk made for John Paul Jones in the '70s.” One Way boasts a 32‑channel Wunderbar desk, based around vintage Neve 1073 modules. 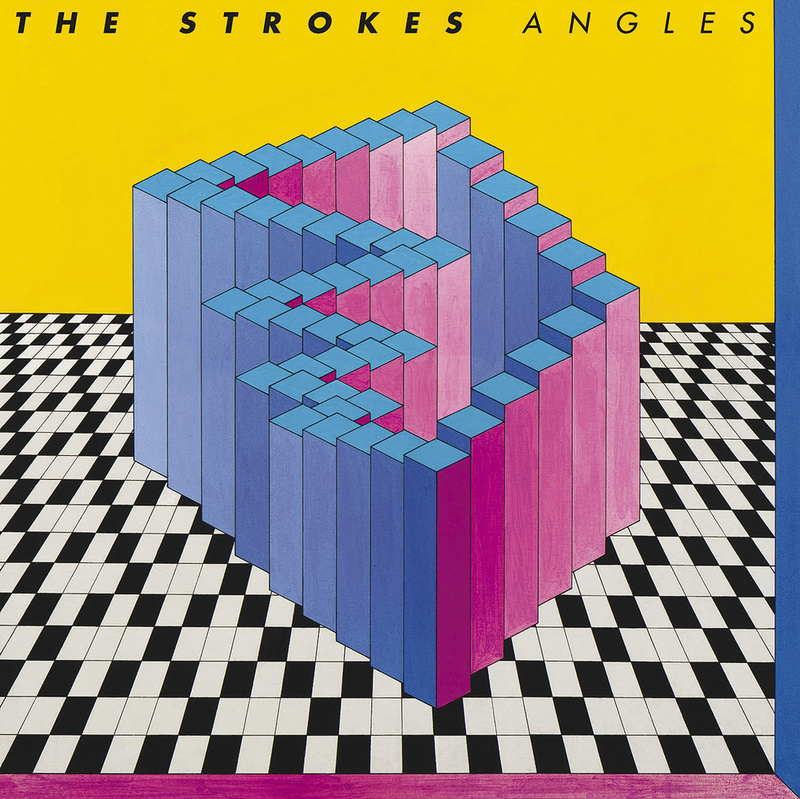 Angles was the first album on which all members of the Strokes participated in the writing of the songs — on the previous three albums, songs were mostly written by Casablancas, with only occasional input from the band. Much has been made of this aspect of Angles being a cause of friction in the band and also leading to prolonging the recording sessions, but Oberg insists that all songs were already written and demoed before the actual recording sessions began. The next step in the making of Angles was the by now customary search for the big‑name producer to help them take these demos to the finished stage (one must assume the band didn't go in with the intention of ditching him). Joe Chiccarelli, with his background in working with the White Stripes, Frank Zappa and Counting Crows, was an obvious candidate; the Strokes particularly liked his production of My Morning Jacket's 2008 album Evil Urges. And so sessions began at Avatar Studio B in New York in January 2009, with Chiccarelli producing and engineering, Oberg co‑engineering, and Justin Gerrish assisting. Gerrish also mixed Vampire Weekend's most recent album, as featured in SOS May 2010 (/sos/may10/articles/it_0510.htm), while Joe Chiccarelli's work with the White Stripes was featured in the October 2007 issue: /sos/oct07/articles/insidetrack_1007.htm. "We were there for 10 weeks, seven days a week,” recalls Oberg, "which is a long time, given that it was obvious after four or five days that Joe and the band wanted to go in different directions. The band knew what they wanted, but they also wanted to try out everything, which is why they had approached Joe. Mainly they wanted to experiment with different textures and sounds, because the arrangements and lyrics that they had already recorded on the demos stayed more or less the same. They disagreed with the direction in which Joe took the sounds — basically he wanted to go big with everything, and they wanted to do different things in each song. Joe was very hands‑on with the recordings, he knew what he wanted, and the band played together for most of the time. 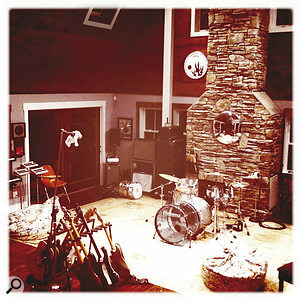 About 18 songs were recorded during these sessions. After the Avatar sessions I went to Electric Lady, where I recorded Julian's vocals. Joe did come by at one stage, but by then it had become obvious that he and the band were not going to carry on working together. Three months of mastering? We'll come to the ins and outs of that below, but somehow this little bit of info puts the whole hyper‑intense gestation process of Angles into focus. When Oberg says that the band wanted to try "everything”, he's not kidding: every song was tracked several times, and different overdubs were tried, and with the whole project being recorded to Pro Tools at 24/96, he ended up with "thousands and thousands” of Gigabytes of data. Throughout, Oberg was the only one who had an overview of everything that had gone down, and he was expected to be able to give an instant answer to questions such as "that guitar line that I played half a year ago, can you put that on?” In addition, Oberg was by now also promoted to co‑producer alongside the band, making him not only responsible for engineering but also for organising sessions, judging performances, and coming up with sonic ideas; since then he has also become the band's live sound engineer. According to Oberg, the band enthusiastically participated in the production side of things, and the sessions became very much a collective enterprise. With no‑one else in One Way to assist him on the engineering side of things, Oberg had to be "very organised with my files. But yes, the project became absolutely massive. It's important for me to work in the 24/96 resolution, though. I use a lot of room mics, and rarely use effects, and for that it makes a difference. "What we had done at Avatar was very straightforward, and the band wanted things more crazy. They wanted to take the sounds somewhere else. They did not want to make a standard rock album. They particularly had a problem with the drums from the Avatar sessions, feeling they were too busy, so they were re‑tracked with hi‑hat taken out, or a tom, or perhaps adding a kick, things like that. As I said, the arrangement stayed pretty much the same, but they did add overdubs and made things a bit more complicated than what we had before. While they had played with the four of them together at Avatar, at One Way it was mostly a process of me recording them one at a time, even though a few songs were played together, like with 'Gratisfaction' and 'Games' I had two or three of them at the same time. For 'Gratisfaction' we started a whole new session from scratch and flew some stuff in from the Avatar sessions. With all the other songs we began with the Avatar session and then overdubbed and replaced things. When the sessions moved to One Way, Oberg installed himself under a skylight at the Wunderbar board, and guided the band through a long Spring, Summer and Autumn of overdubbing. 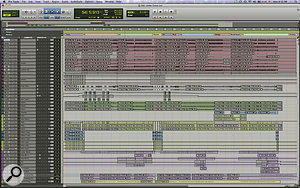 Looking at the Edit window screenshot for the modestly sized Pro Tools Session of 'Under Cover', he elaborates on the signal chains for each of the tracks, beginning at the top with the drums. 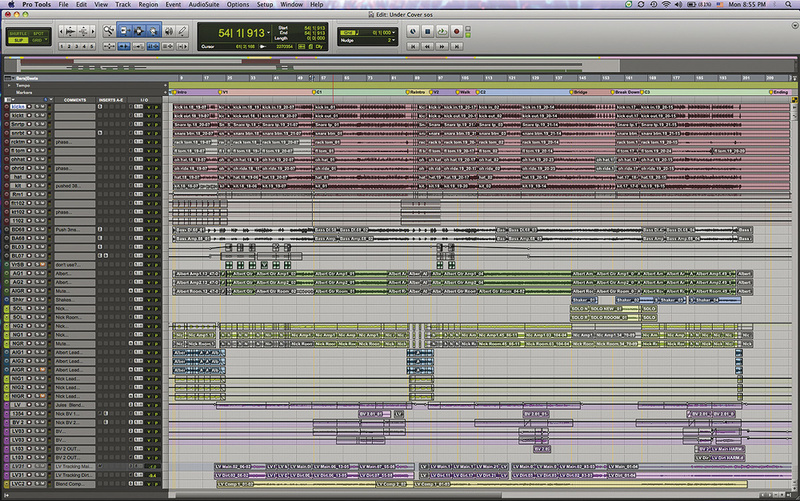 The Pro Tools Edit window from the Session for 'Under Cover Of Darkness'. "I like the Chandler TG2 mic pre/EQ a lot. It's made by a guy who remakes all the Beatles EMI stuff. I just fell in love with it a few years ago, and I use it a lot on drums. The kick was recorded inside with an AKG D12 and outside with the Yamaha Subkick, the big guy, and each went through a Chandler, with Dbx 160 compression on the inside mic and LA2A on the outside mic. The snare was recorded with a Telefunken M80 at the top and an MD421 on the bottom, and both mics went through the Telefunken V72 [preamp], [Empirical Labs] Distressors and Neumann BFE EQs, which are great. They are very heavy in weight, which is usually a good sign. "I used SM57s for the toms and AKG 451s on the hi‑hats. 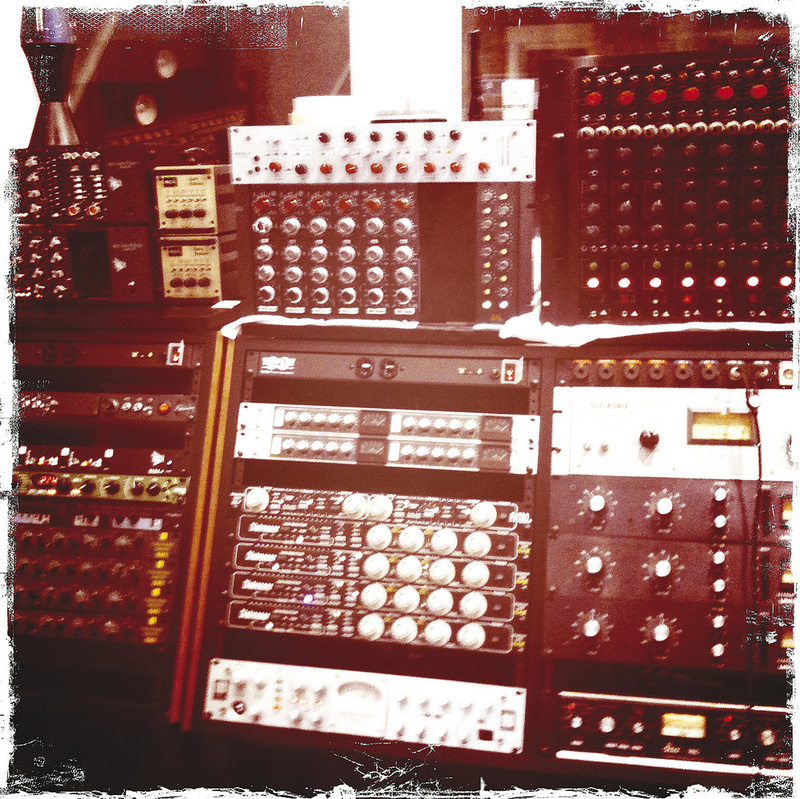 The toms went through the Wunderbar — I think we have PEQ2s in that board — and the hats went through the API 512 mic pre. The kit mic was the new Telefunken ELAM 260. You can switch the capsules on them and I used the omni one. I put the 260 on the beater side of the rim of the kick drum, it's like two inches from the top of the kick drum and two inches from the side of the snare. It was also going through the Chandler and then a Distressor. The room mic was a U87 going through an Avalon 737 compresor/EQ. The overheads were Royer 121 to capture some of the room, going through Trident Bs and compressed with an Alan Smart compressor. That was it for drums. There are some other tracks, but those are simply brief overdubs. The bass was played through a SVT cab on which I put a [AKG] D112 close, a [Neumann] FET47 about six or seven feet away from the amp, and I DI'ed it with a Radial J48. All three signals were going through the Wunderbar. The DI and the D112 were compressed with a 1176, but the FET was not compressed. "Underneath is the fast little boogie‑woogie line that was overdubbed by guitar and a bass. I put them on separate tracks because they needed different settings on the compressor. There's a shaker and a new guitar solo by Nick, done at One Way, using a Fender Supersonic 4x12, on which I put a Beyer M88 mic close and also a Royer 121. I bussed these two together, going through a Distressor or an 1176 and finally an API EQ. There was also a room microphone on the guitar solo, which was a Blue Dragonfly going through the Avalon 737. At the bottom of the session, you can see the vocal tracks: 'LV‑Jules Blend' is my main lead vocal, and close to the bottom there are two instances of 'LV31', the top being the clean vocal from the 47, underneath the dirty vocal sound from the 121. Right at the bottom is an early lead vocal track that wasn't used. The backing vocals were sung by Julian, Nick and Fabrizio [Moretti, the band's drummer]. Much of the processing on Angles was printed at the recording stage, using One Way's fine collection of outboard. Written by the Strokes.Produced by Gus Oberg, Joe Chiccarelli and the Strokes. 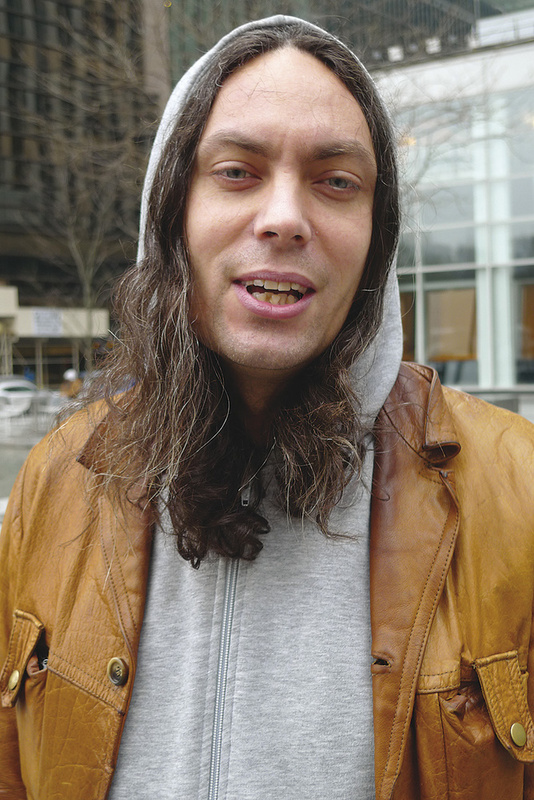 Once sessions at One Way were completed, the mixing of the album was handed to Noah Georgeson, a guitarist, composer and electronic musician from California, who also busies himself with producing, engineering and mixing — his credits on the studio front include Devendra Banhart and Joanna Newsom. 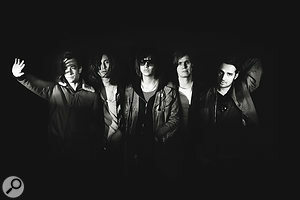 However, in the case of 'Under Cover Of Darkness' and 'Gratisfaction', the Strokes and Oberg ended up with the mix equivalent of demoitis: "The band decided in the end that they preferred the rough mixes that I'd done of those two tracks. I did rough mixes of all the tracks, although my mix of 'Under Cover' was slightly more than a rough mix. I had some ideas for how to cut up the drums, taking things out here and there, which you can see on the Edit window. We'd been working a lot on that, trying to make the chorus kick‑drum pattern work in the verse and so on, and taking out the room in places where it sounded too messy. We'd taken a year to come to conclusions about how the track should sound and where to cut the drums, et cetera, and my actual mix was very quick. It took me 30 minutes! Later, when the decision had been taken to use my mix, I said: 'If that's what you like, I can do one that's a little better and cleaner.' I'd slammed the tracks very hard through the board, and it's so compressed that it has pops in places that sound like percussive hits. I had not taken the time to do any crossfades. So I spent a whole day recreating and improving my mix. They sound virtually identical to me, but someone could hear the difference, and preferred the original. So we went with the one I did in half an hour! "By the time we got to the mix, the band already was very clear about how they wanted the songs to sound. I think we were pretty set on everything, we had tracked things the way we wanted them to sound. Noah tried to do a lot on his early mixes, and they always asked him to tone it down. My mix of 'Under Cover' also doesn't change much about the sounds. Most of the compression and EQ was already added during rough mixing while tracking, plus, as I said earlier, I don't like using effects like delays and reverb. There are just a few plug‑ins, like the API 550 EQ on the kick and one of the boogie‑woogie lines, Bomb Factory 1176 on the snare top and again one of the boogie‑woogie lines. There's a Digidesign EQ4 on the bass and some of the backing vocals, 'MV2' on the bass DI is the Waves compressor, and there's a Waves S1 Stereo Imager on the overheads. Outboard included the Alan Smart C2 compressor, three or four 1176s, and I think I used an Empirical Labs Fatso on the drum submix and some API compression on the guitars. There's some Neve 1068 EQ on the drums, to boost the high end, and that was it. I prefer to keep it tight, which makes it more intense. I will try anything, but for this album, simplicity in the mix was the best approach. Once Joe Chiccarelli had left the project, the band and Gus Oberg jointly assumed production duties. "The Wunderbar does not have automation, so all my mixes were done manually, although I always use volume automation in Pro Tools. I've mixed in the box and I love the recall. The fact that you can bring up your session later on and it'll sound exactly the same is very convenient. But it also gets a little mechanical. It's more fun moving faders. 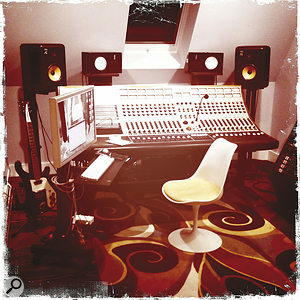 Plus mixes done via a desk sound a little better, more powerful. I mixed on the small KRK ST6 speakers at One Way — we also have big KRK E8T monitors — and on [Yamaha] NS10s, always. The NS10s have been around for so long, I know exactly what they sound like. 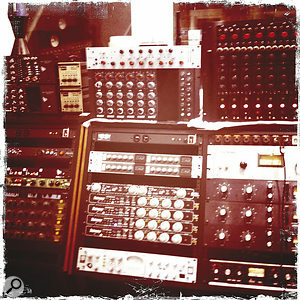 Plus every studio has them. How come 18 songs were tracked at Avatar and only 10 ended up on the album? We spoke about including 12 songs, but I felt nine or 10 was better. The album is already so intense, with a lot of information and intense lyrics, 34 minutes and 10 songs is enough. We wanted to keep it short. It would have been too much to have had to listen to another 10 minutes. We finished a few more tracks, but not all eight remaining tracks. At some point they'll be reworked for the next album, which will come out soon, hopefully.